Discovered in the northwest corner of Prince William Sound during an 1899 research expedition, spectacular College Fjord and its glaciers were named after prestigious east coast schools by the college professors who first laid eyes upon their majesty. Stretching for miles, these massive rivers of ice tumble down from mountains and through valleys, dipping into the pristine waters of the fjord. There you'll have a chance to watch the awe-inspiring process of glaciers calving, or dropping enormous amounts of ice into the sea, as they crack and land with a thunderous splash! 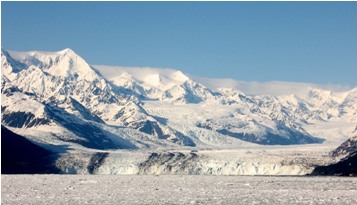 College Fjord is arguably one of the most spectacular of the Fjords and glaciers in Alaska. Any cruise that takes in this remarkable sight, you will be left speechless.